We Offer Pest Removal Services in the St. Petersburg, Florida. Here at BeeMan Stan, we offer pest removal services in the St. Petersburg, Florida area. We specialize in removing any type of stinging insect, including yellow jackets, wasps, and bees, as well as their nests or hives. 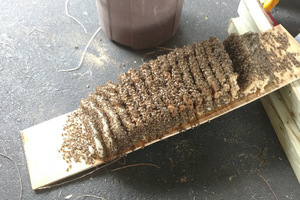 We have completed over 1,000 jobs since our inception, and our team is insured and licensed to practice that art of safe bee removal and pest control at residential and commercial properties throughout the state of Florida. If you are a municipal manager, property manager, or contractor, we also offer solutions related to stinging insect issues. We have extensive commercial experience and can use aerial equipment to provide high-reach capabilities when you need stinging insect removal at your business or commercial location. Our work vehicles are also off-road capable and fully self-contained with water and electric for remote area access. Provide you with a Stinging Insect-free Home or Business. If stinging insect issues are a persistent problem, we offer quarterly treatments, so you can easily stay on top of keeping hornets, wasps, bees, and yellow jackets away. 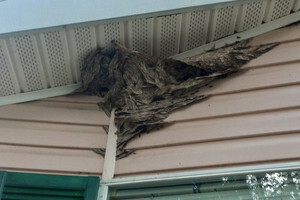 During our signature treatment process, we knock down all nests and spray the eaves of the home or business with an eco-friendly product that provides long-term results. As part of this service, we will also inspect your property’s perimeter and prohibit stinging insects from intruding while deterring them from rebuilding nests. 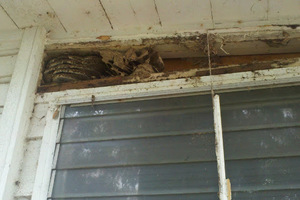 By the time we’re done, we’ll make sure all stinging insects are eradicated from your property. We offer a one-year warranty on our services, so if stinging insects return again soon after we stop by, we’ll come back and do the job again free of charge to completely eliminate the issue. Our goal is to provide you with a stinging insect-free home or business with our thorough, effective, and client-oriented solutions. If you have any questions, comments, or inquiries, get in touch with us at BeeMan Stan today. We look forward to hearing from you! At BeeMan Stan, we can help you eradicate wasps, yellow jackets, hornets, and bees from your residential or commercial property in St. Petersburg, Florida. St. Petersburg, Plant City, Winter Haven, Lakeland, Bartow, Central Florida, Clearwater, Sarasota, Tampa, Tampa, Orlando, Bradenton.